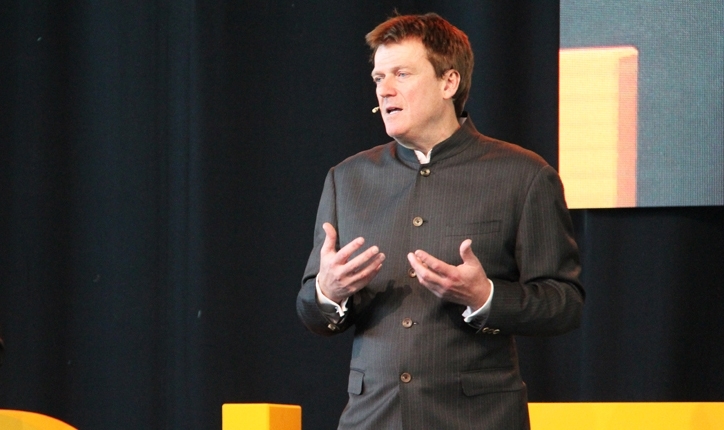 Overstock.com’s long-awaited tZERO security token trading platform will go live by the end of next week, CEO Patrick Byrne said Friday. Byrne told CoinDesk the company is “ready to hit the button and go live today,” but was waiting a few more days to process user signups. The announcement means tZERO will meet the timetable given last month by Jonathan Johnson, president of Medici Ventures, Overstock’s venture fund and tZERO’s direct parent company. Speaking to CoinDesk in December, he said the company would go live in January. The company has already notified investors in tZERO’s token sale – which concluded last August – that they can gain access to their tokens. According to a letter to investors, the three-month lockup period for the tokens had ended, and investors could either create a brokerage account with broker-dealer and tZERO partner Dinosaur Financial Group or put the tokens in a personal wallet. “Some people said, ‘Ok, they let people open wallets, but who knows when they turn the trading system on’ — I wouldn’t do that if I wasn’t sure that the technology was ready to go live,” Byrne said. tZERO will have Steven Hopkins, until recently the chief operating officer and general counsel at Medici, as its president. Hopkins will serve as tZERO’s president, and the startup is now looking to fill two other executive positions: head of issuance and head of an in-house broker-dealer that will serve tZERO’s retail clients. The platform will allow trading of its native tZERO token at launch, but is also talking to about 60 different companies. Elio Motors, a company producing light three-wheeled cars, will probably issue the next token traded on the platform, Byrne told CoinDesk. tZERO is a key asset in Medici Ventures’ portfolio and an ambitious effort to disrupt established security trading practices on Wall Street that Byrne has been famously challenging for more than a decade, such as his fight against naked short selling. Though tZERO will not go live for a few more days, the company has already been busy laying other groundwork for the nascent security token market. In December, tZERO was hired by Hong Kong-based GSR Capital to create a token for trading cobalt, with GSR also buying $30 million in tZERO security tokens from Overstock. However, the partnership was delayed after GSR asked for additional time to on-board a third partner and close the deal. The deal has yet to be completed, Byrne said Friday. Also in December, tZERO acquired another company in Medici’s portfolio, crypto wallet startup Bitsy. Byrne first revealed his plans for a security token trading system in 2014, but technological and compliance efforts took some time. Overstock’s initial Alternative Trading System (ATS), a sort of precursor to tZERO, has been open for two years. But it has listed only tokens representing preferred shares in Overstock, and saw little activity (all of 10 trades over a 15-month period) due to technical hurdles, a public filing by Overstock said last spring.